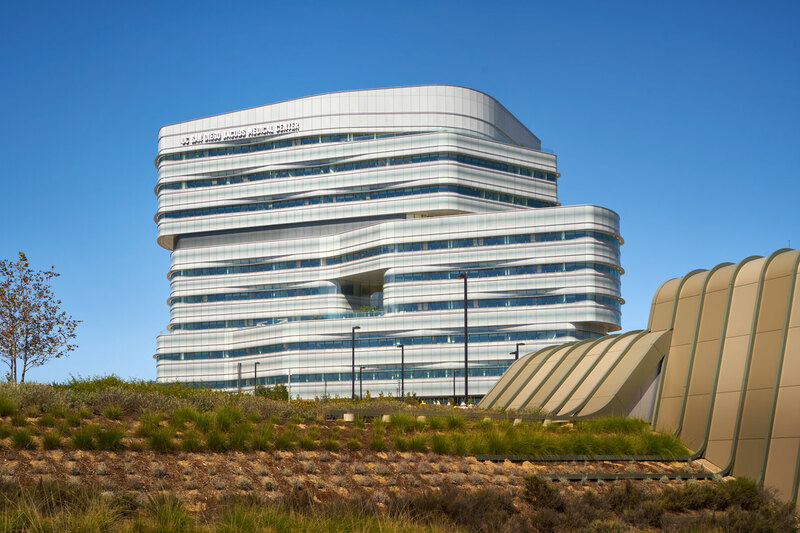 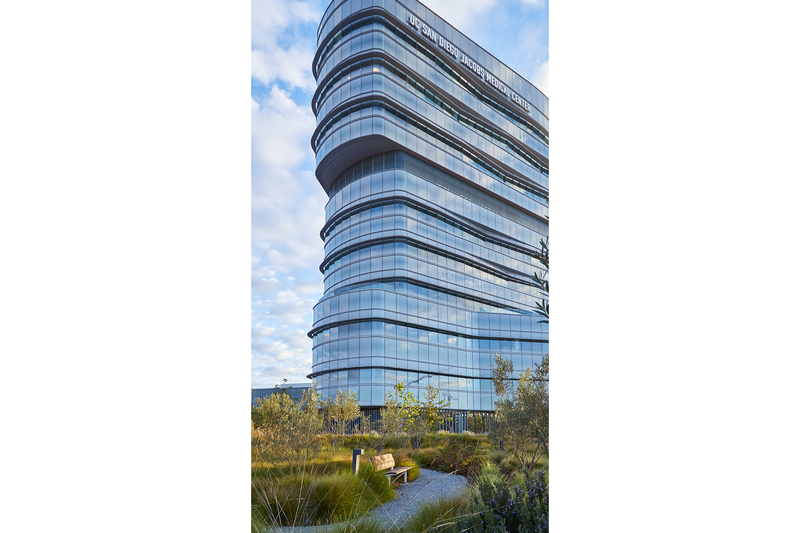 The 10-story Jacobs Medical Center on the UC San Diego’s Health System campus represents the seamless integration of advanced technologies with comforting environmental elements. 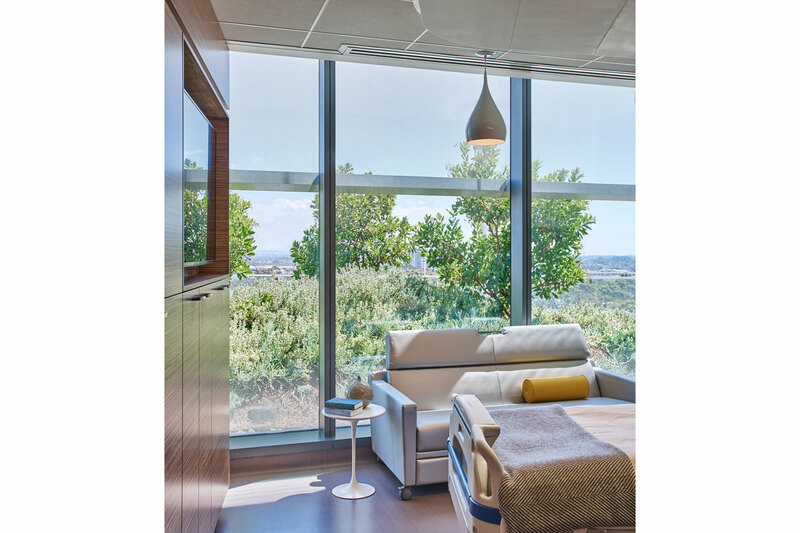 Three new specialty pavilions and one existing pavilion cater to a wide range of patients and offer a holistic healing environment. 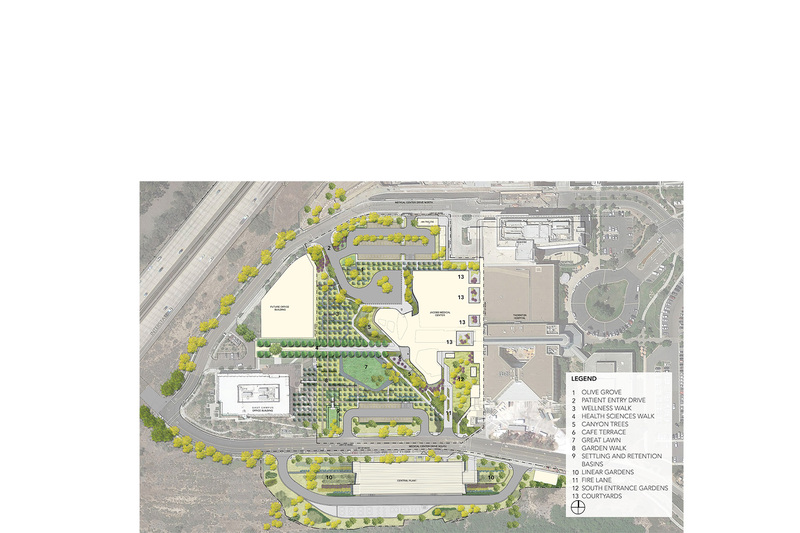 PB&Co’s design approach began in response to the geometries of the proposed building, sustainability goals and the Health Sciences Walk, a circulation spine connecting the pavilions. 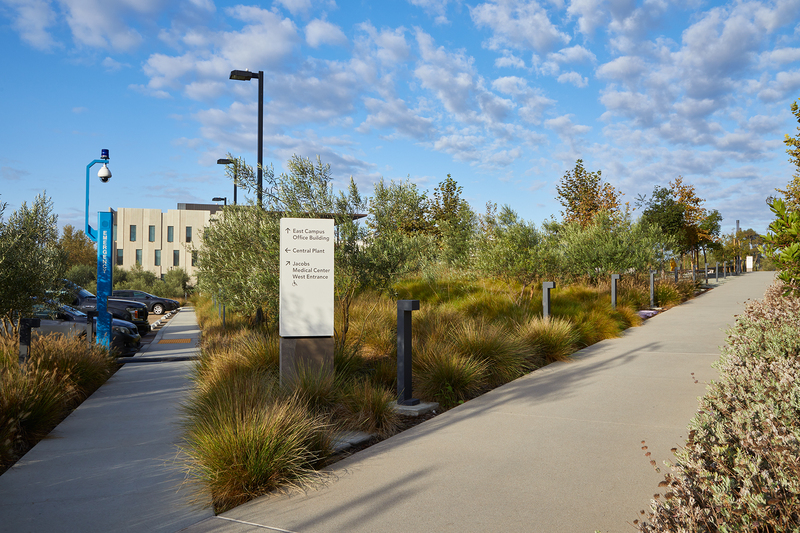 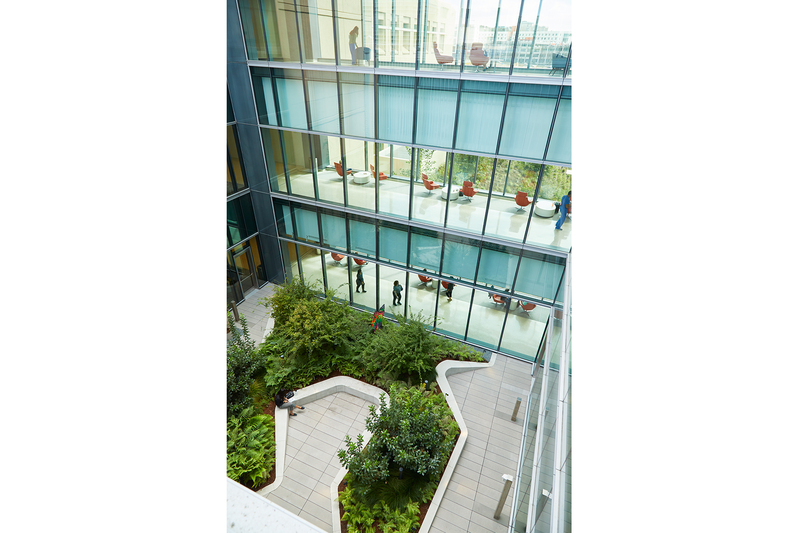 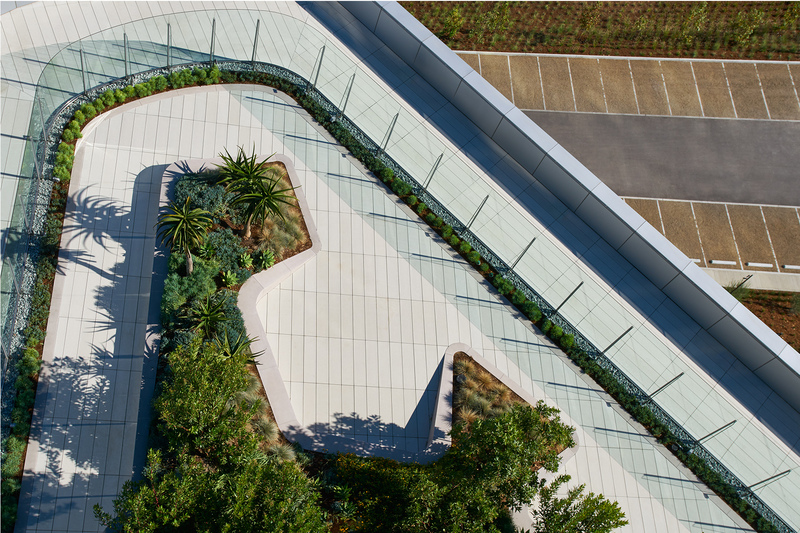 Core elements such as gathering spaces, wellness walks, and garden rooms are layered across the site while upper level terraces, designed with lush plantings and raised planters that offer sheltered seating, serve adjacent patient rooms. 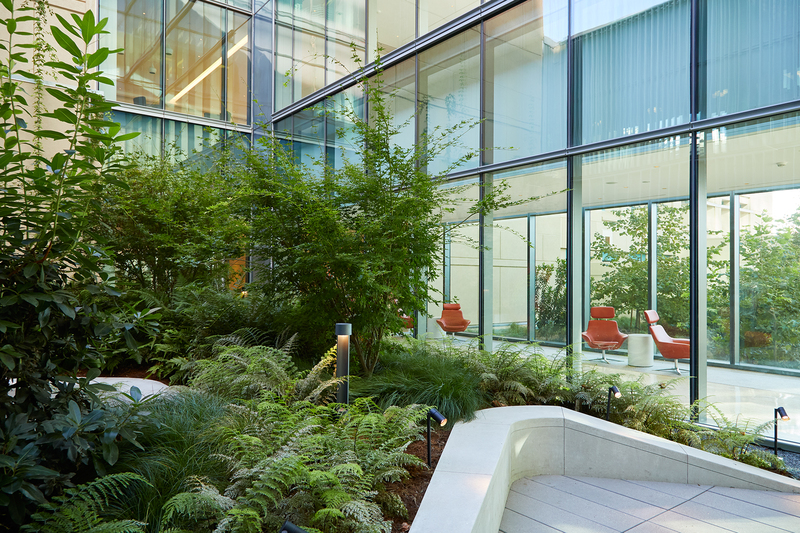 Sustainable practices have been integrated into all aspects of the design. 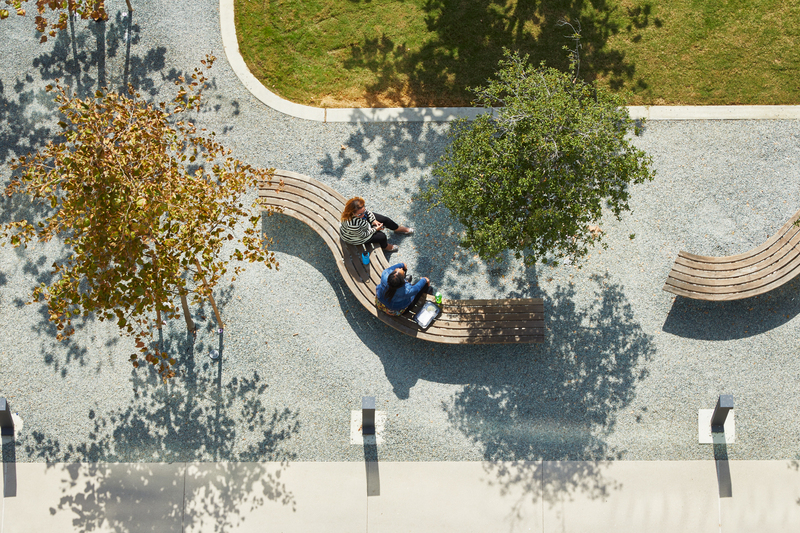 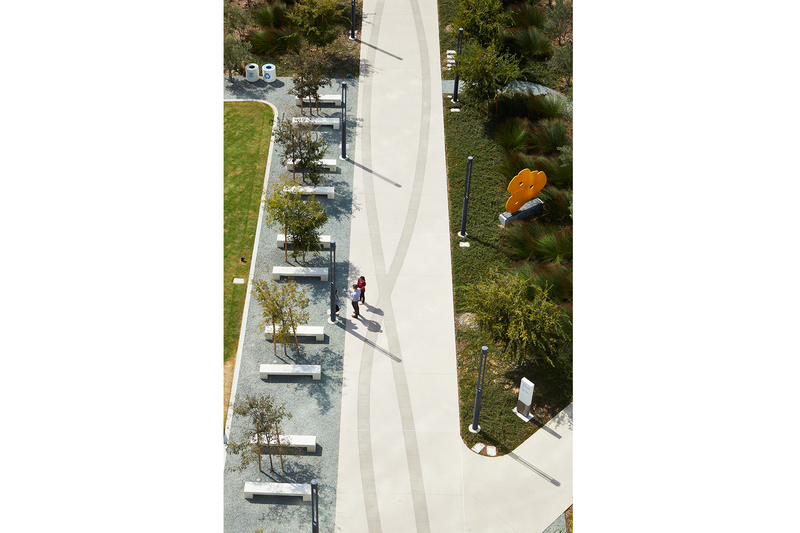 A storm water detention basin takes the form of amphitheater seating; the gravel paths are permeable while also being ADA accessible; and the plant palette is primarily comprised of low-water use, and in many cases low-maintenance plants to conserve water and resources.